Advances in three-dimensional (3D) video recording and playback have expanded the availability of stereoscopic videos for consumption with specialized televisions, computer monitors, and virtual reality (VR) headsets. The built-in stereoscopic vision of the da vinci surgical system (Intuitive Surgical, Sunnyvale, CA) enables the recording of both camera views. However, medical-grade devices for direct stereoscopic video recording can be cost-prohibitive. 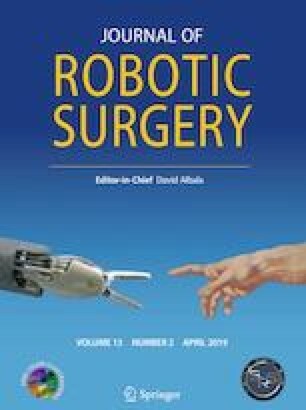 We describe methods of producing and viewing 3D videos in transoral robotic surgery (TORS) without acquisition of dedicated 3D recording equipment. The video output from the left and right cameras of the da Vinci Si endoscope were recorded during a TORS radical tonsillectomy using non-stereoscopic media devices. Raw video was processed using commercially available video-editing software to create stereoscopic videos clips. 3D videos were successfully observed using a low-cost mobile phone VR headset. 3D stereoscopic surgical videos were successfully developed using widely available software, applications, computer peripherals, and mobile devices. The methods described confer significant cost savings when compared to the purchase of specialized recording equipment despite the requirements of time and intermediate computer skills. Future studies will investigate the utility of stereoscopic videos in medical student and resident education. The online version of this article ( https://doi.org/10.1007/s11701-019-00952-z) contains supplementary material, which is available to authorized users. Dr. Ernest D. Gomez has received research funding from Biomet and is a co-inventor on a patent for a robotic surgical device (US 9990856B2). Dr. Erica R. Thaler has received research funding from Inspire. Dr. Bert W. O’Malley, Jr., and Dr. Gregory S. Weinstein receive royalties from Olympus. Dr. Jason G. Newman is a medical consultant for Medtronic, Castle Biosciences, and Just Right Surgical. Dr. Christopher H. Rassekh and Dr. Robert M. Brody declare that they have no conflict of interest.